Trilobites are ancient marine animals, arthropods from the early Cambrian period. They were an insect like creature that is significant for being the first animal with identifiable eyes. 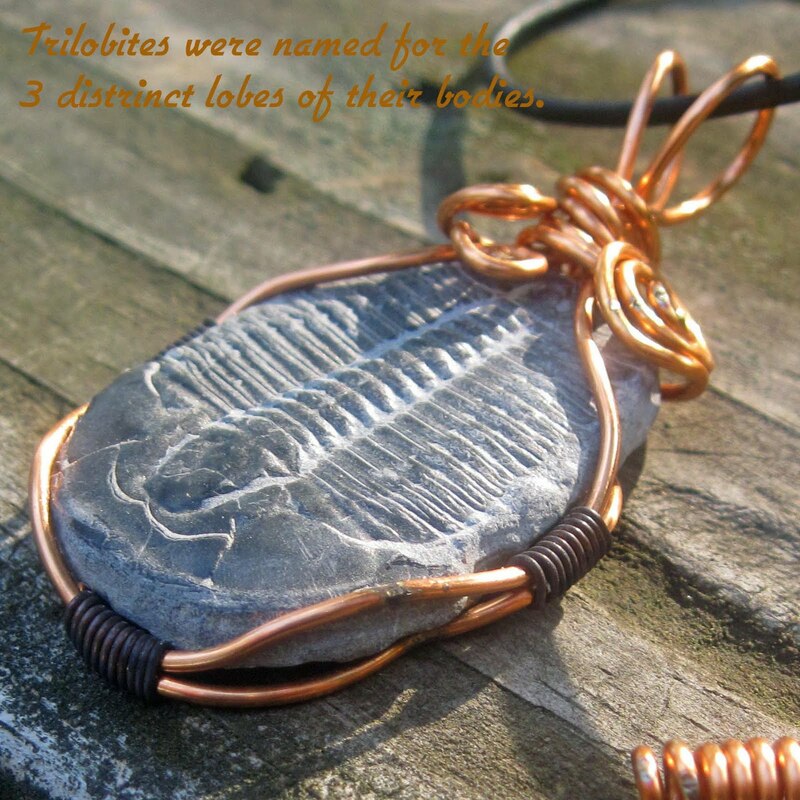 The name Tri-lob-ite comes from the 3 distinct lobes that form their body. Trilobites have been extinct for 248 million years. Their fossils are found in many forms throughout the world. Elrathia Kingii Trilobites are the genera used in our jewelry. They are from the Middle Cambrian Period and are plentiful in the Wheeler Shale Formation in Utah. Trilobites molted, shedding there skin multiple times over their lifespan. Many of the trilobites found today are thought to be of these molts. They are the State Fossil of Pennsylvania, Ohio and Wisconsin. So many Trilobites have been found in Dudley West Midlands in the UK that they were called Dudley Bugs and a Trilobite was illustrated on the shield of the former Borough Council. Ute Indians of Western Utah made holes in them and wore them as a necklace for protection. Delta Utah is home to the U-Dig Quarry where you can unearth your own Trilobites.